Tailored specifically to gastroenterology workflows, gPM connects with your GI practice, endocenter or both to centralize your medical and financial data in an all-in-one system. It works seamlessly with the gGastro EHR and Endoscopy Report Writer, eliminating expensive practice management bridges and separate logins. Designed to simplify operational and financial management for your practice, our gastroenterology practice management system can help improve office flow and increase your efficiency while also helping to improve patient experiences. From virtually anywhere in gPM, you can perform a wide variety of functions without navigating to separate pages or losing your place, simply by using the right-click menu. To save even more clicks, key information—such as insurance eligibility status and appointment type for front desk staff—is visible at a glance in our gastroenterology practice management system. Most screens even allow you to apply numerous filters to customize your view. This way, you can get detailed reports without having to run a report separately. For instance, billers can identify which claims they want to follow up on right from the billing screen and start working them immediately. Our gastroenterology practice management software works with gKiosk™, our iPad patient check-in kiosk, to help maximize staff productivity and create seamless experiences for patients. 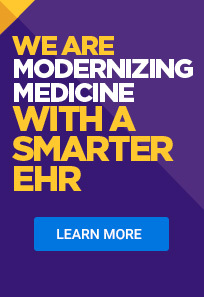 gPM connects the front and back offices, so suggested codes as well as bills generated by the gGastro EHR or ERW are instantly available in the medical practice management system for billers to review. By automating tedious processes and providing flexible payment options, our gastroenterology practice management software helps you collect more of what you’re owed. gPM works seamlessly with the gGastro EHR and gGastro ERW to provide powerful recall management, helping you keep patients from slipping through the cracks. Submit the form below to see how gPM can help you improve workflow and collections by connecting the clinical, financial and administrative sides of your practice.